Awesome Gift Ideas for 8 Year Old Girls! I hear you need to find a pretty awesome gift for an 8 year old girl! You are most definitely on the right webpage! Here you will find several super cool and FUN gifts for 8 year old girls! I’m sure there will be something here for YOUR girl! This is a beautiful and fun gift list full of the coolest gifts for girls this age. I love researching about toys and gifts for kids, so I had a lot of fun building this gift list for 8 year old girls! Girls gifts are fun, cute, colorful and sweet! That’s one of the reasons I love choosing them too! Of course you will need to consider your girl’s personality and taste. I’m sure you are going to find something very special here! Fun OUTDOOR Gifts for 8 Year Old Girls! How about a PINK Scooter? I decided to start displaying my gift ideas for 8 year old girls with the outdoor gifts first! Well, it’s summer time now and children should be spending as much time outdoors as possible! Moving their bodies and breathing some fresh air! 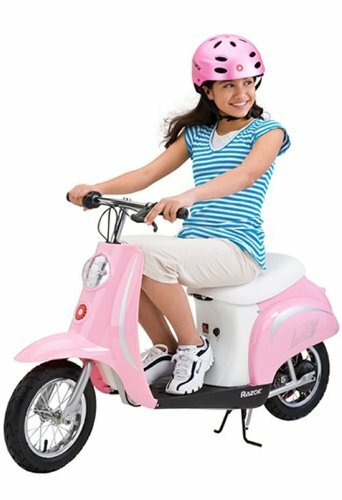 One of the best outdoor gift ideas for 8 year old girls besides a cute bicycle, is a fun power scooter! Kids love getting together with the other neighborhood kids and going around the block with their power scooters! This pink electric scooter is perfect for your active 8 year old girl who enjoys spending time outdoors! It can go up 10 miles on a single charge! It is also pretty fast, reaching speeds of 15 mph! She will be able to enjoy her scooter for a long time too, since it supports weights of up to 170lbs! How about a Cute Beach Cruiser Bike, Pink, 20-Inch? Cool Gift for an 8 Year Old Girl! Girls also love to ride their bicycles around the neighborhood! 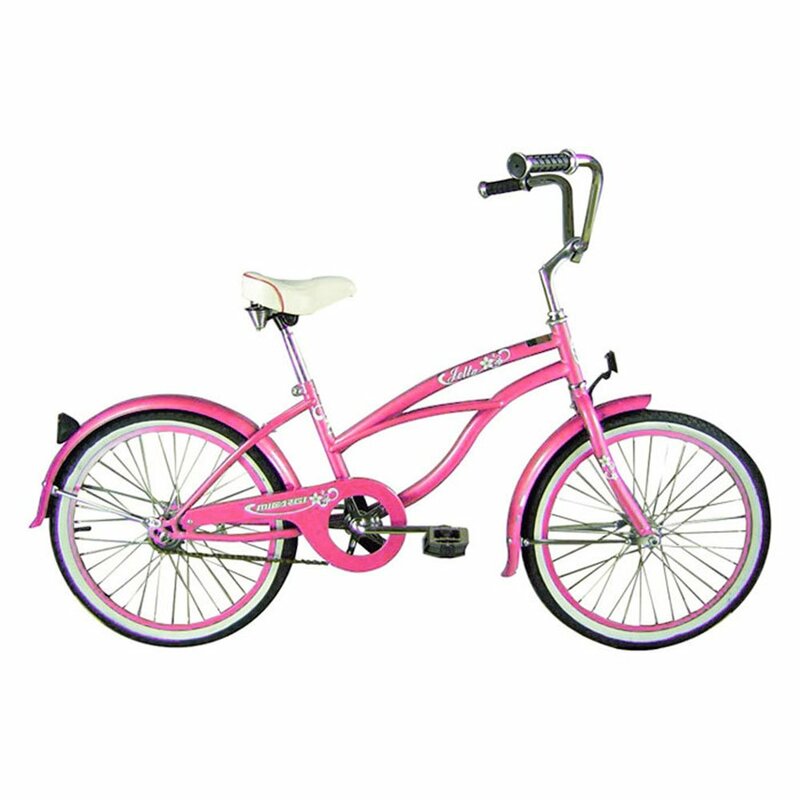 Second on my list is a gorgeous pink beach cruiser bike for girls! The 20 inch size is just perfect for 8 year olds! Great way to enjoy a beautiful day outside with the family! What a fun outdoor gift idea for girls! 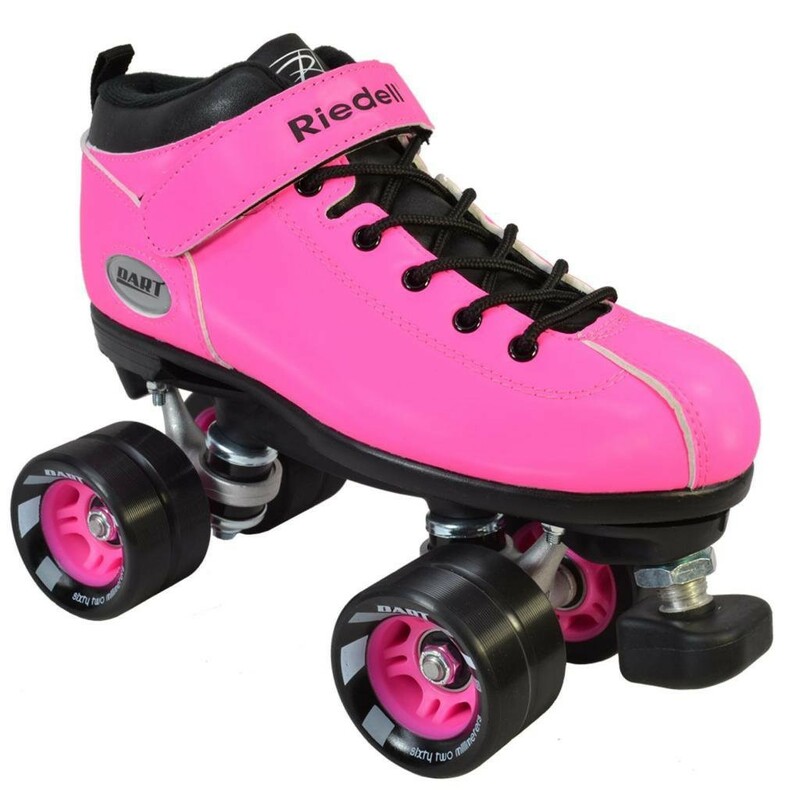 Check out this awesome pair of pink roller skates for girls! I wish I had these when I was a young girl! They can also go pretty fast, since they were build for speed! Now she will have another reason to spend more time outdoors and exercise! Even better if mom and dad can join her too! When I was a little girl I used to roller skate all the time with my friends! We even played ‘tag’ with our skates on! What a FUN Electronic Gift Ideas for 8 Year Old Girls who Love to Sing!! PINK Hello Kitty Karaoke Machine! Does your 8 year old girl like to sing? Does she dream of becoming a huge star someday? 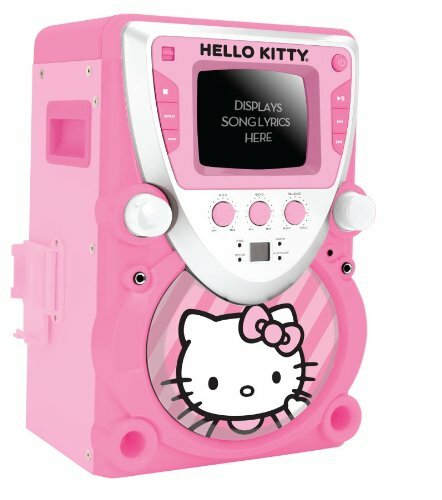 Then give her this super cute and girly pink Hello Kitty karaoke machine so she can practice for her audition on the Voice or the American Idol when she gets older! I bet she is going to love it!! Her very own karaoke machine! You might have a future pop star in your home! The lyrics will show on the small tv screen! What an amazing Cool Gift for 8 Year Old Girls! 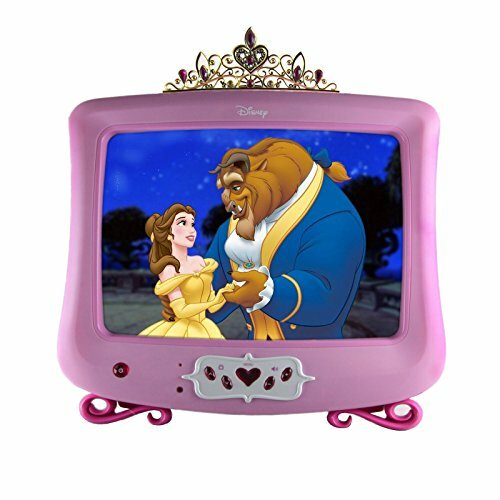 It’s a pink color real TV for girls! This is the ultimate cool electronic gift idea for girls around! She is going to love having her very own PINK TV in her bedroom! Cool Electronic Gift Idea for Girls! Well, I’m pretty sure your 8 year old girl also loves to play video-games! 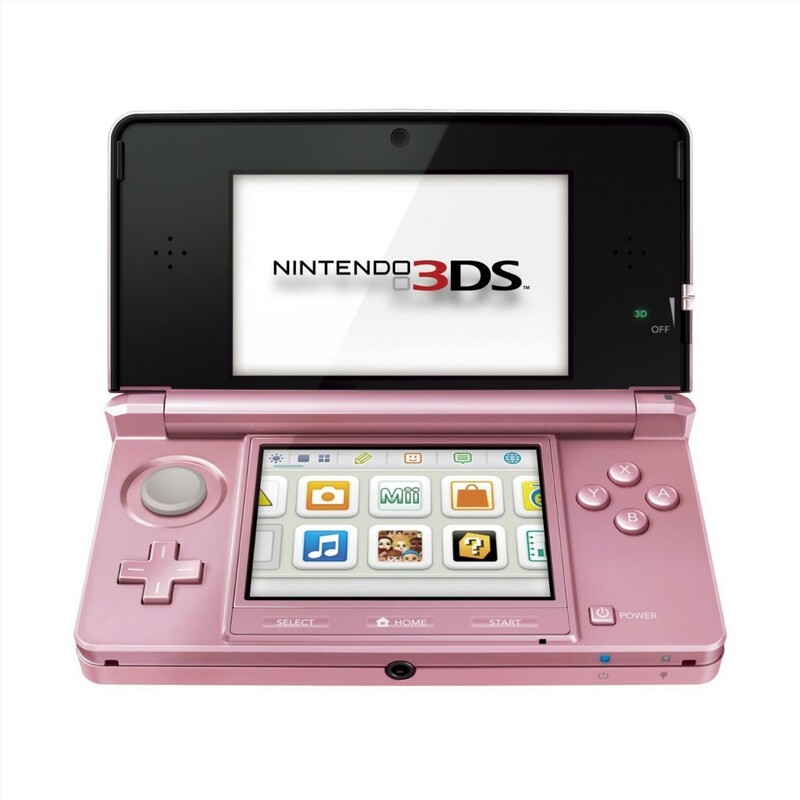 This cute metallic pink new Nintendo 3ds will make a great gift idea for her! It’s small, fun, it’s 3D and she can take it with her everywhere! Awesome for long and boring car trips or for when you are stuck in the airport too! I just got one for my own daughter and I also love playing it! Does your girl love to take pictures and shoot short movies? 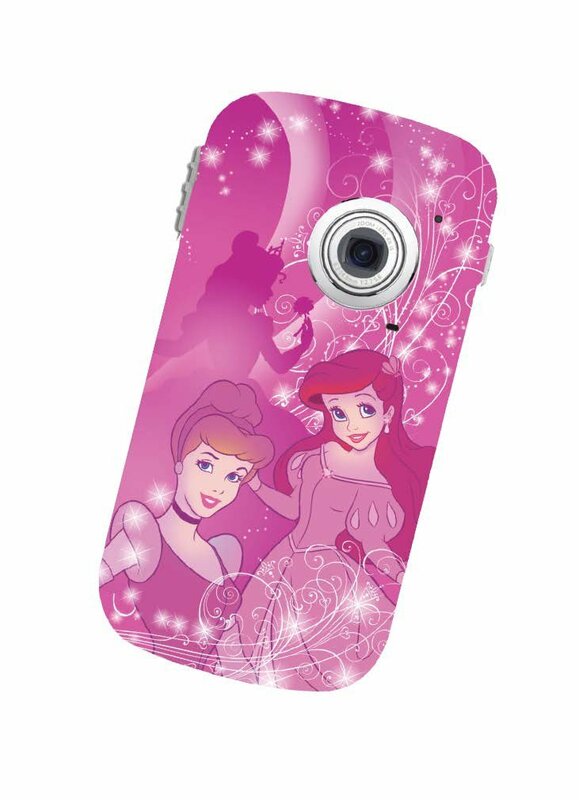 Then she’s gonna love getting this cute and fun Disney Princess camera! Great electronic gift idea for girls! I’m sure your 8 year old girl is gonna love shooting films with her friends! My daughter loved creating cute short ‘movies’ in her bedroom using her cute stuffed animals and Littlest Pet Shop figures! She spent hours every afternoon recording! It is very easy to use and very affordable too! Great electronic gift idea for your 8 year old girl! Pink Barbie Mp3 Player for Girls! 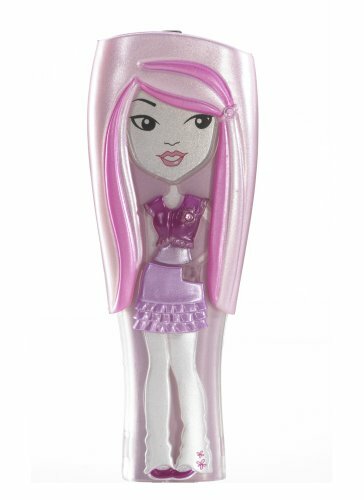 Barbie Girls 1GB MP3 Player – Pink – Store 240 Songs! And now I present to you one of my favorites gift for 8 year old girls on the market! How cute, fun and very unique is this Barbie girl shaped pink MP3 player for sale? It stores 240 songs and happy moms and dads who bought this for their 8 year old girls said it is the perfect first mp3 player for them! What a cool musical gift idea for girls! Are you planning on having your 8 year old girl start on guitar lessons? Music is definitely one of the best gifts you can ever give her! 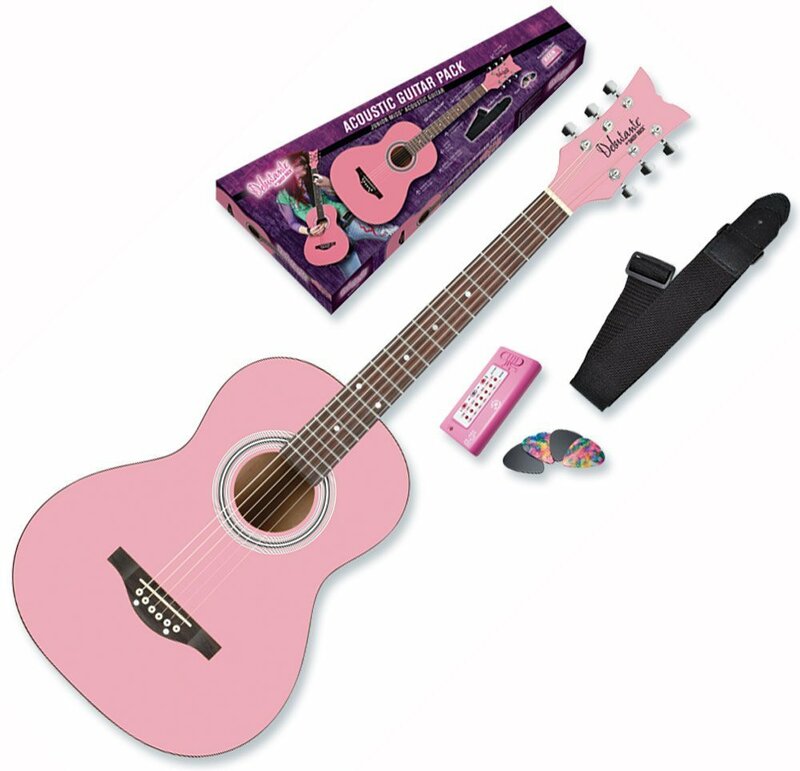 How about giving her a cute pink acoustic guitar to get her even more motivated on playing? This is an awesome starter pack that includes the tuner, picks and the guitar strap! Musical gifts are the best! How about a Pink Drum Set for your 8 Year Old Girl Musician? 5-Piece Complete Drum Set for Girls! 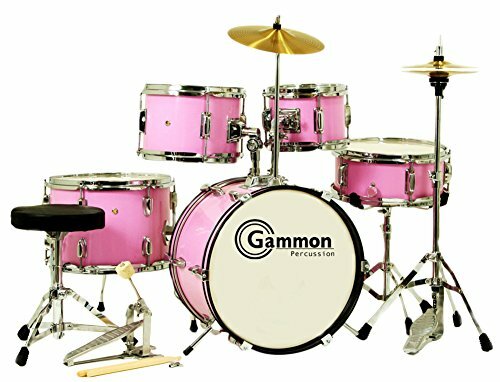 This 5-piece pink drum set for kids is perfect for girls who love to play music and want to be musicians too! One of the best musical gift ideas for 8 and 9 year old girls! Cute Gift Idea for 8 Year Old Girls! Does your 8 year old girl like to collect cute dolls? If so, she is going to go crazy with this gorgeous Pullip fashion doll! Cute dolls still make awesome gift ideas for 8 year old girls! Look at her gorgeous hair! She also has the most beautiful blue eyes! It is a dream come true doll! Great Gift Idea for 8 Year Old Girls! 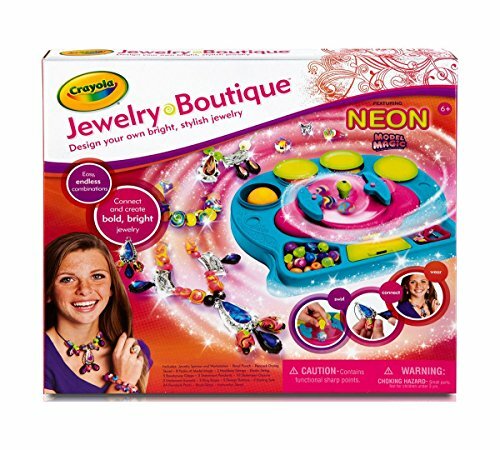 This jewelry kit is one of the most fun gift ideas for girls around! Girls love to make their own jewelry! With this kit they will be able to make gorgeous and colorful bracelets, necklaces and lots of fun stuff! Perfect for throwing a fun party too! The girls can compete among themselves to see who will come up with the best designs! After she’s done making all her beautiful bracelets and necklaces, she’s going to need a place to put them too! 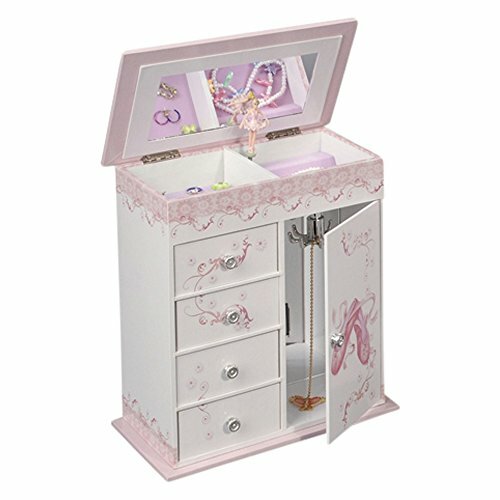 This is a very cute pink ballerina jewelry box for girls! It has a cute ballerina who will start rotating when the music starts playing! I love the fun ballerina shoes design! 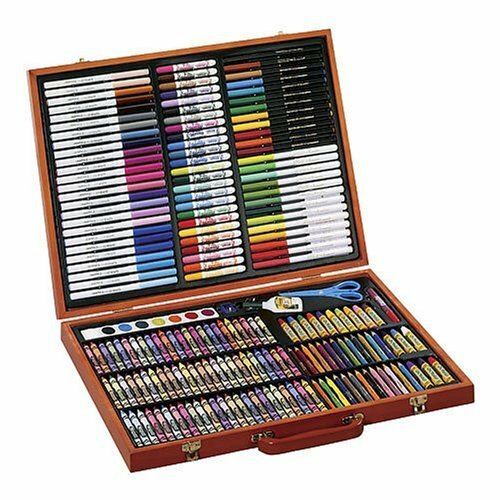 If your 8 year old girl loves to draw, paint and color, then she is going to LOVE this amazing 200-piece Crayola art kit! It includes everything needed for the most beautiful drawings and artistic creations! She will get: 72 crayons, 25 short colored pencils, 24 skinny markers, 16 oil pastels, 50 supertips, a container of school glue, a pair of neon green safety scissors, 1 tube of glitter glue, an 8-count watercolor tray, 1 paint brush, and 1 sharpener! I bet you can’t wait to see what she will come up with! Great Back to School Gift Idea for 8 Year Old Girls! Girls love carrying cute and colorful backpacks to school! I remember when my daughter was 8 she had a collection of cute backpacks and each week she would switch them around! 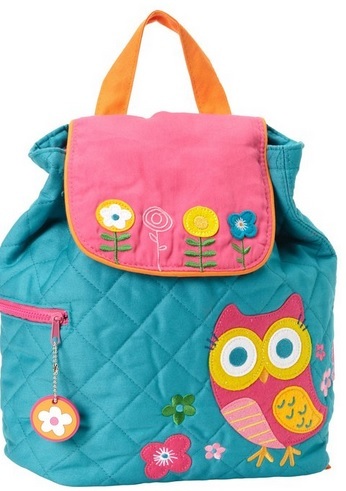 Cute backpacks are great gifts for 8 year old girls! With more than 15 different designs and colors to choose from! How about a Cute Fairy Lamp? 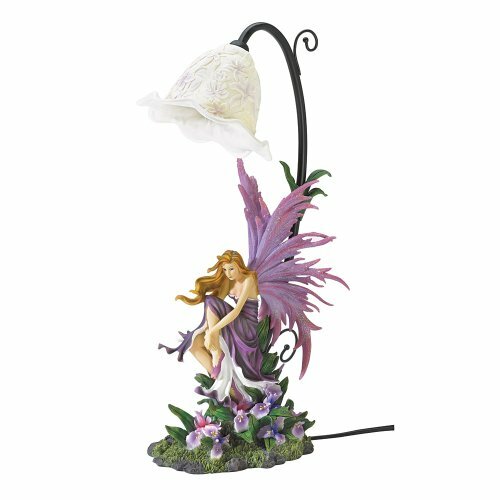 How about a pretty fairy lamp as a gift for the 8 year old in your family? Little girls love to have cute lamps and lights in their bedrooms…. Choose a fun and colorful lamp for her!